Despite Virtual Assistants being listed at number 8 in Entrepreneur’s article 25 Fastest Growing Freelance Skills, it seems there are many sole-traders, freelancers and small business owners that don’t know what we do. Pretty straight forward. You didn’t start your business thinking about all the admin headaches that it would cause. You started it because it’s what you love and you need to be able to focus all of your time and energy on it. We all know that if you don’t enjoy a task, you’ll put it off or do it badly. 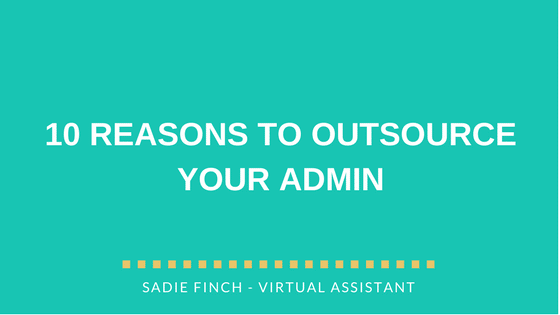 You’ll be much more productive by outsourcing the things you don’t enjoy (like your admin) to someone who does. You can free up your time to spend doing the things you love or getting a better work/life balance. “Let me just ask my PA to handle that…” – sounds good, doesn’t it? If you have a team, it makes you look super professional… and that kind of reputation isn’t a bad one to have. Running your own business can be lonely – having someone who understands your business and your objectives, to bounce ideas around with, is invaluable. All reputable VAs will come with a certain standard of knowledge – not just of admin, but of the latest software and tools available to ensure your business runs more efficiently and effectively. If you book 3 hours’ work, that’s what you’ll get. You are paying the bills! As the VA industry grows and becomes more competitive, we know we have to be at the top of our game to retain our clients. Reputation is everything. You don’t want to have to pay for an employee taking their lunch break, being off sick or twiddling their thumbs in quiet periods. You pay for the hours you need, and only that. No hidden costs. You don’t need to pay recruitment costs, provide inductions, invest in training… just for the person to leave 6 months later. You hire the VA that has the skills you need. There’s a whole load of responsibilities that come with having an employee (not to mention admin!) – who wants that hassle? There’s no equipment to pay for, no desk space to find, no tax or national insurance liabilities, no holiday or sick pay… do I need to go on?